Beverly Bees, a tiny organization with a lofty goal – Saving Honey Bees One Colony At A Time! Beverly Bees just won two 2019 Good Food Awards for our honey and honey comb. Read more about it here! Anita Deeley, CEO of Beverly Bees, wearing our Good Food Award at the Award Ceremony in San Francisco. 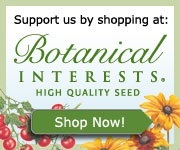 Help us save honey bees! Do you have a bee swarm? Call us to remove and relocate them at 978-778-8276 or visit our bee removal page here to learn more. We offer live bee removal services for both wasps and honey bees! We remove bees and wasps without pesticides or chemicals and save and relocate bees. We remove bees and wasps from trees, houses or structures. Call us for all your bee removal needs. Honeybee swarm in a tree. We offer free honey bee swarm removal for people in Essex, Middlesex and Suffolk County, MA in May and June only. Once the bees have moved into your building or structure, there is a charge to remove them. Please see our Bee Removal page to learn more. Protect bees from pesticides with our No Spraying Sign for your yard! Buy Yours Here! Take a video tour of our hives! Watch Anita Deeley open our hives and talk about bees on Get Your Garden Growing with Sandra Lawson. Video recorded by BevCam. Beverly Bees was recently featured in the Beverly Citizen. Read the article here. Honey bees around the country are struggling in modern society. Pesticides, diseases, lack of forage and pests are weakening the nations honey bees and putting the country’s food supply at risk. Our mission at Beverly Bees is to help increase the local honey bee population through our Host A Hive program, promote awareness of the plight of the honey bee through Educational Talks to Schools and Community Groups, and to help foster good stewardship and understanding of honey bees. We share knowledge about sustainable, organic and treatment free beekeeping on our Beekeeping Blog, relocate wayward bee colonies with our Bee Removal Service and sell Raw Local Honey to the community. If you are just starting out your beekeeping hobby be sure to check out our Beginner Beekeepers Guide to learn more about keeping bees. Our Premium Artisan Honey – Pure, Raw, Unheated, Unfiltered and Free of Chemicals and Antibiotics in the hive. Click Here to find out how to buy our honey. Wondering what it’s like to keep bees but don’t have the expertise, equipment or time? Host a Honey Bee Hive for us instead. Hive hosting is easy!!! Find out all about it here. Want to know how you can help bees? Try Planting A Bee Friendly Garden in your yard. Some popular items on the website include – Host A Honey Bee Hive, Planting A Bee Friendly Garden, How To Autopsy a Dead Hive, and Painting a Bee Hive. To find out more about Treatment Free Beekeeping click here. Find more information on Top Bar Hives here..